Want to join us in making a difference? I'm raising money for the Irish Repertory Theater Inc, Tallahassee, FL and any donation will help make an impact. We need funds for our production expenses on our next play The Importance of Being Earnest. Thanks in advance for your contribution to this cause that means so much to our organization. 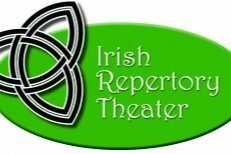 The Irish Repertory Theater is dedicated to providing the opportunity for the North Florida community to enhance their awareness of Irish literature by offering quality theatrical productions, education and community outreach programs inspired by the rich Irish culture and history.